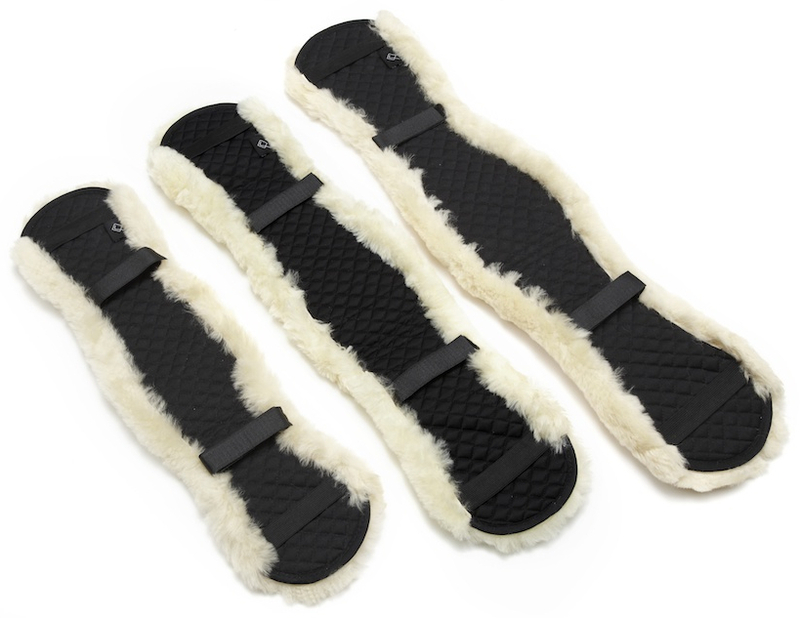 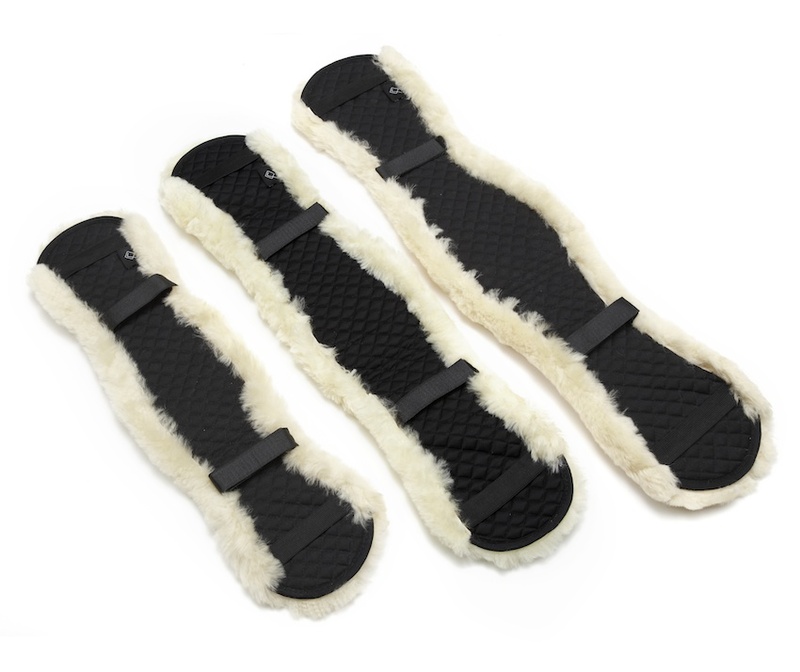 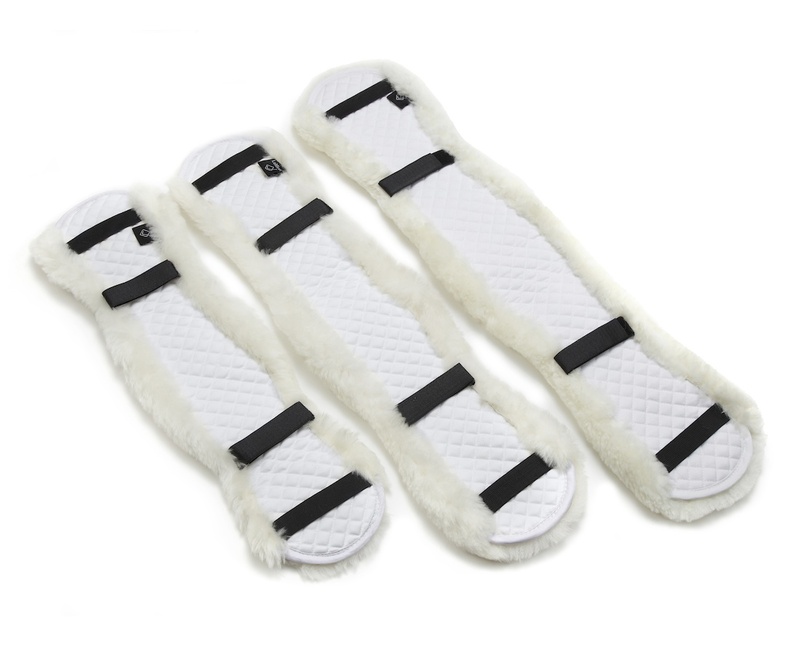 LeMieux Lambskin Girth Covers are made from soft Merino lambskin on one side with a rolled edge, and cotton fabric on reverse with two elasticated and two adjustable velcro straps. 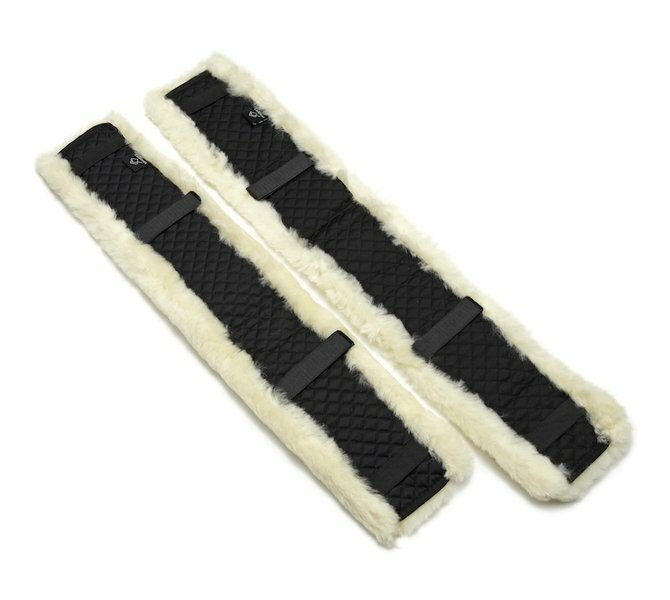 Low profile and discrete, these new designs are non slip after thorough testing and are popular for use with short jumping girths. 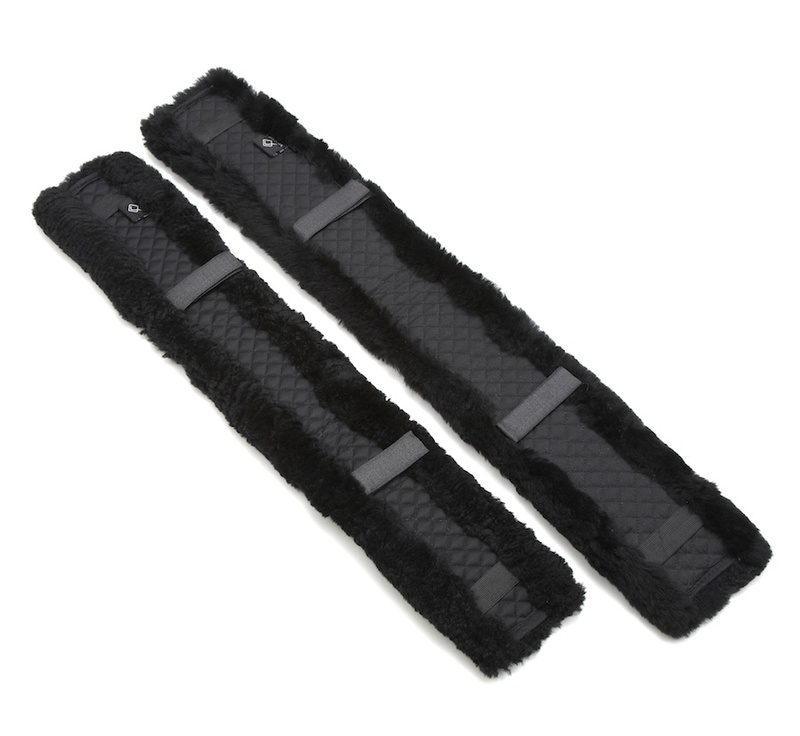 Please note the Dressage Girth cover is designed to contour round the girth with the rolled edge protecting the edges. 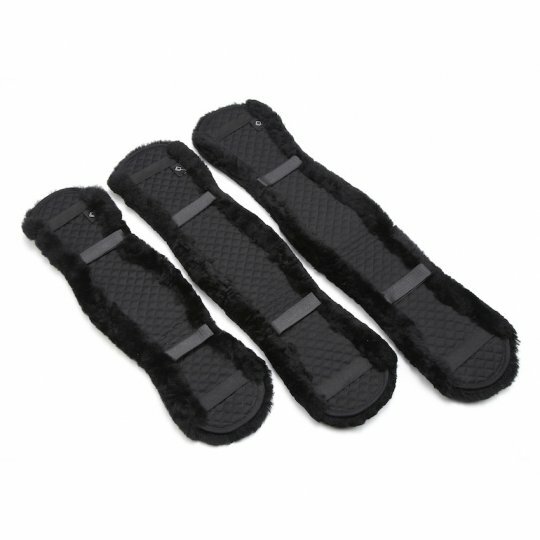 The girth cover has two elastic straps 2.5cm wide which are stitched 6cm from each end and two double velcro straps centre. 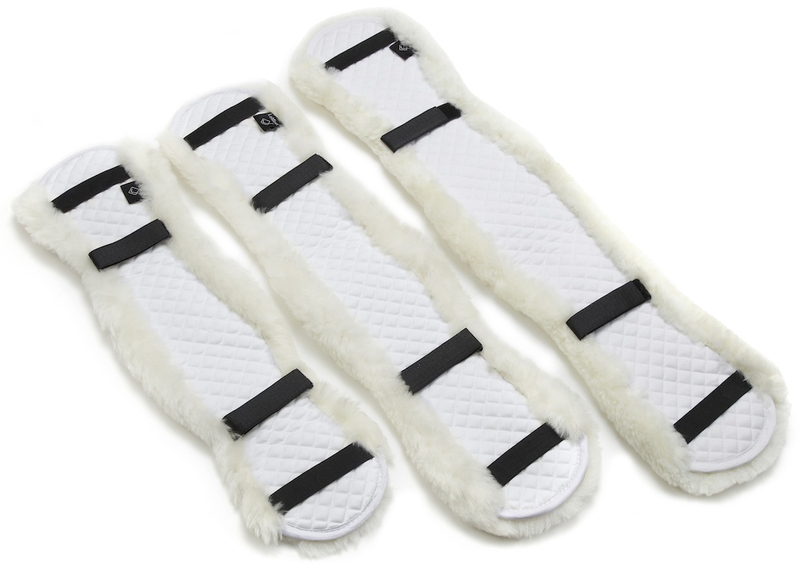 There are currently no questions for LeMieux Lambskin Girth Cover - be the first to ask one!